Hospital consultation. 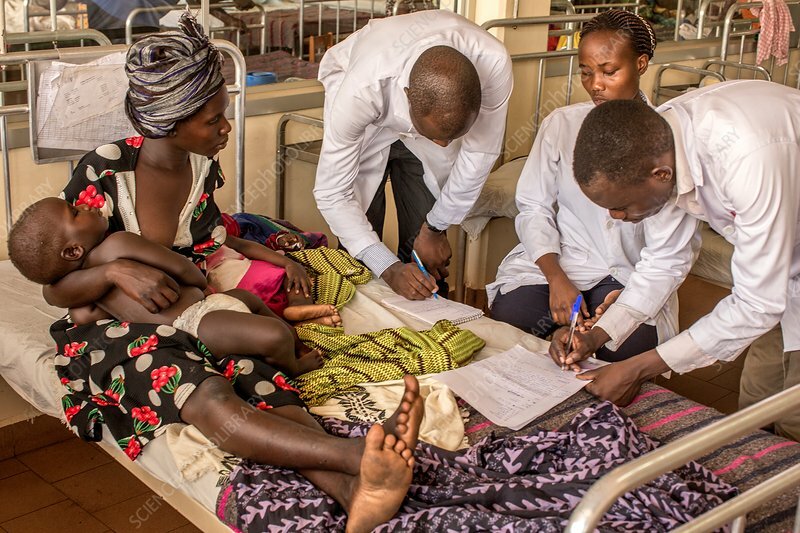 Hospital doctors talking to a mother sitting on a bed with two children. Photographed at St Mary's Hospital, Lacor, Gulu, Uganda.